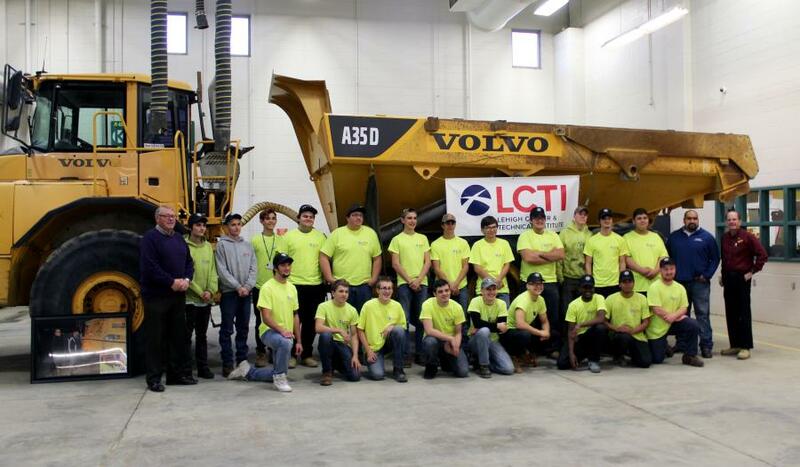 Volvo Construction Equipment (Volvo CE) has donated an articulated haul truck to train future equipment operators at Lehigh Career & Technical Institute (LCTI) in Schnecksville, Pa. 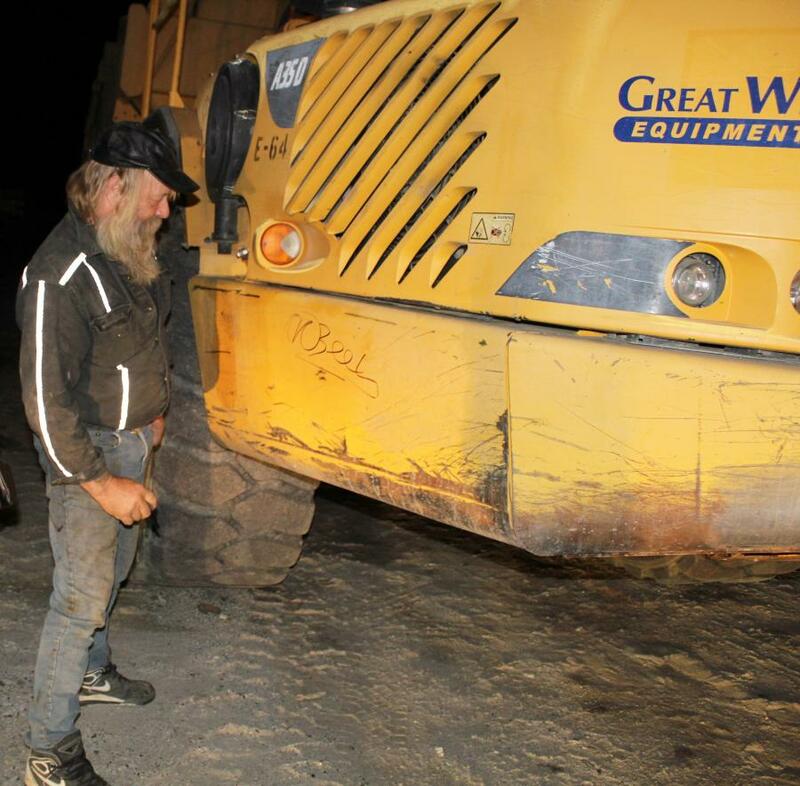 The Volvo A35D hauler had been used on Discovery Channel's "Gold Rush" television series and will now serve as a training tool for high school students enrolled in the institute's Heavy Equipment Operations and Preventive Maintenance program. "We will use the Volvo hauler across the full curriculum. In addition to basic truck operation, it will be a support piece for students who are learning loading techniques with wheel loaders and excavators," said Jim Wabals, instructor at LCTI. "The hauler will also give students experience on preventive maintenance and help them understand the value it adds to reducing operating costs and increasing productivity over the machine's lifetime." The 2006 Volvo articulated haul truck has more than 15,000 hours and is valued at $80,000. It was used by "Gold Rush" star Tony Beets at his Yukon mine. He added his signature to the front fender as a personal touch-point for the students. Fellow "Gold Rush" miner Juan Ibarra assisted with the truck handover at the school. Ibarra also spent classroom time with the students, sharing his career experiences and exploring where the construction equipment field can take them. "Opportunities like this exemplify how business can partner with education," said Stephen Roy, president of Volvo CE Americas. "The availability of the Volvo hauler intersected with LCTI's need to broaden its training. Giving students practical experience in the seat and under the hood will give them a strong advantage when they enter the workforce, where Volvo haulers are a mainstay on many job sites." Volvo CE has a history of investing in programs that encourage youth to pursue careers related to equipment manufacturing and engineering. This includes being an official partner with SkillsUSA and SkillsCompétences Canada, which are national organizations that develop technical and leadership abilities. Volvo CE also sponsors the Pennsylvania SkillsUSA Heavy Equipment Operation competition each spring, which draws top student operators from across the state, including from LCTI's program.